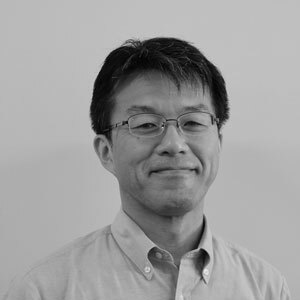 Hiroaki Takiguchi joined UNU-IAS in July 2018 as Project Director. He leads and coordinates three UNU-IAS projects: Education for Sustainable Development (ESD), the International Satoyama Initiative (ISI), and Monitoring and Management of Persistent Organic Pollutants (POPs). His responsibilities include managing and supervising the academic and administrative activities of these projects as well as planning and coordinating policy-relevant research for each of them. Prior to joining UNU-IAS, he served with the Ministry of the Environment, Government of Japan (MOEJ), for over 20 years. At the MOEJ, he served as Director for Environmental Health and Safety Division from 2017 to 2018 where he oversaw and provided strategic, policy, and technical guidance on hazardous chemicals management. He also held various positions within the MOEJ, such as: Director of the Air Environment Division, Director of the Low-Carbon Society Promotion Office, and Director of the International Strategy on Climate Change Office. From 2011 to 2014, he worked as a Senior Environmental Specialist at the Global Environment Facility (GEF) Secretariat in Washington, DC. At the GEF, he worked on the focal area of sustainable transport for climate change mitigation as well as that of hazardous chemicals management.